International Olympic Committee President Thomas Bach is seeking to visit North Korea to discuss its participation in the 2018 PyeongChang Winter Games, South Korean government sources said Friday. “The IOC is believed to be discussing with North Korea a possible trip by President Bach to Pyongyang for talks on the country’s participation in the PyeongChang Olympics,” a source said. The IOC is seeking the visit based on close consultation with the South Korean government. It remains to be seen, however, whether the North would accept Bach’s visit despite heightened tensions over its nuclear and missile tests. The North last week test-fired an intercontinental ballistic missile that appeared capable of reaching Washington DC. “There is no guarantee that the visit will take place. But if it does happen, it could be interpreted as a positive sign for North Korea’s participation in the PyeongChang Olympics,” another government source said, adding that there was a possibility of a lower level official of the IOC making the trip instead of Bach. In September, North Korea’s pairs figure skating duo Ryom Tae-ok and Kim Ju-sik qualified for the Winter Games. But the country did not confirm by the Oct. 30 deadline whether it would send its figure skating pairs team to PyeongChang. As long as the North is willing to participate, the doors are still open. The IOC said it is considering granting wild card entries to select North Korean athletes, and offered to cover all their expenses. Bach has repeatedly stated that the IOC has invited North Korea to the PyeongChang Games. The South Korean government is also making efforts for the North’s participation, hoping it would help alleviate tension on the Korean Peninsula. President Moon Jae-in and Seoul’s top officials have said they were willing to wait until the last minute for North Korea to make a decision to take part in the winter games. 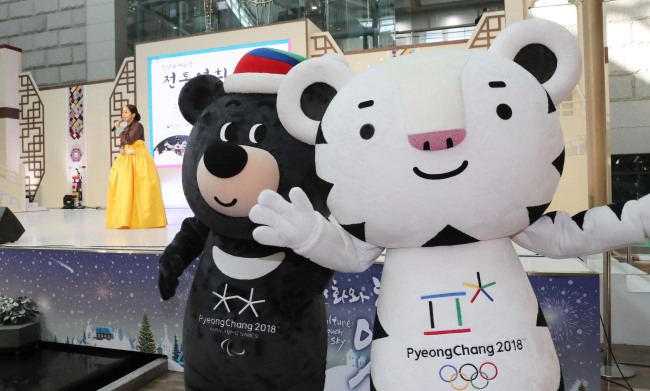 “We will continue communicating through various channels such as the PyeongChang Olympic Organizing Committee and the International Sports Federation (for the North’s participation),” said the ministry’s vice spokesperson Lee Eugene. Some North Korea watchers are hopeful the North may accept the visit, considering that Jeffrey Feltman, the United Nations’ undersecretary general for political affairs, visited Pyongyang after last week’s long-range missile test.